After Jeffrey Katzenberg left Disney in 1994, he approached Steven Spielberg and music executive David Geffen about forming a studio that would work in both live-action and animation. This would be the first time in decades a studio would do so due to the risk and expense involved in such a venture. Spielberg and Geffen agreed on the conditions that the studio would only make nine films a year, they could work for other studios, and they would be able to get home in time for dinner. That October saw the formation of DreamWorks SKG, with financing from the three partners and Microsoft co-founder Paul Allen. In 1998, DreamWorks began production of their first animated series: Toonsylvania, also known as Steven Spielberg Presents Toonsylvania. The series was developed by Eek! The Cat co-creator Bill Kopp and Chris Otsuki. Like Spielberg’s earlier collaborations with Warner Bros. Animation, the series was a compilation of segments related only by the fact that they were comedic spoofs of the horror genre that often parodied pop culture and contained musical numbers. Unlike those shows, the series was centered on a smaller group of characters. 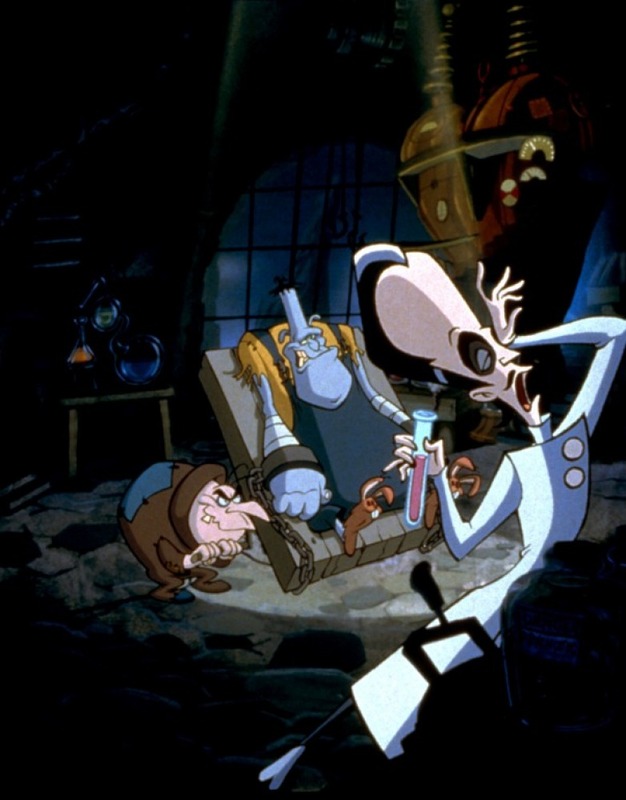 The first segment usually focused on a parody of Frankenstein, starring Dr. Vic Frankenstein (David Warner), your typical mad scientist; his assistant, Igor (Wayne Knight), who deemed himself the true brains of the outfit and always set out to prove it (with disastrous results); and Phil (Brad Garrett), the dim-witted monster they created. Together, they lived and worked in a castle on top of a high mountain overlooking the TransFernando Valley. After their misadventures in science, a brief segment would follow where Igor and Phil sat down to watch the rest of the show’s segments on television. In a running gag, something would always go wrong after Igor clicked the remote to turn the television on. The Deadmans: Stiffany, Dedgar, Ashley and Fred. 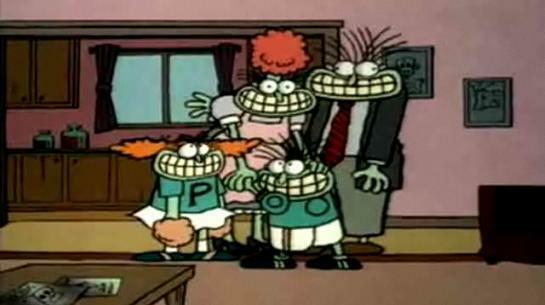 The next segment was typically the sitcom-styled “Night of the Living Fred”, which focused on a family of zombies called the Deadmans. 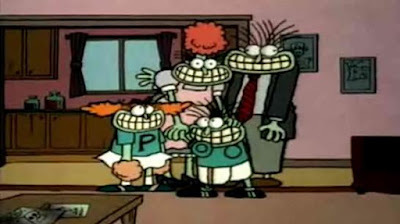 Dedgar (Matt Frewer & Jess Harnell), Stiffany (Valery Pappas), Fred (Billy West) and Ashley (Kath Soucie) went about their daily lives as only creepily-grinning, decomposing members of society could. 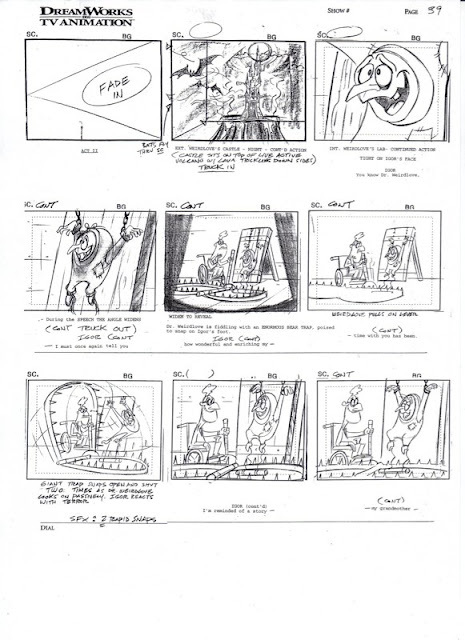 This segment was created and written or co-written by cartoonist Mike Peters with creative consultation by Lee Mendelson, and resembled Peters’ art styling. Occasionally, this segment would be replaced by a parody of a B-list horror movie. This would be followed by another short segment starring Igor called “Igor’s Science Minute.” He would either explain or sing about a scientific topic, usually with disastrous or explosive results. The final segment was “Melissa Screetch’s Morbid Morals”. It was set up by Igor catching Phil doing something bad, and then relating to him a story about Melissa to teach him a lesson. 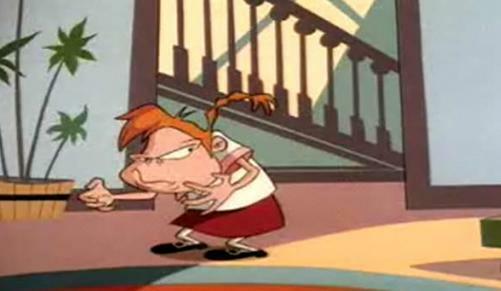 Melissa (Nancy Cartwright) was a horrible, bratty girl who drove the other characters in her stories nuts and often didn’t heed the warnings of adults (usually her mother, voiced by Pappas). Usually, she’d suffer the consequences for her actions. “Science Minute” and “Morbid Morals” were largely written by Otsuki. Toonsylvania debuted on FOX on February 7, 1998. 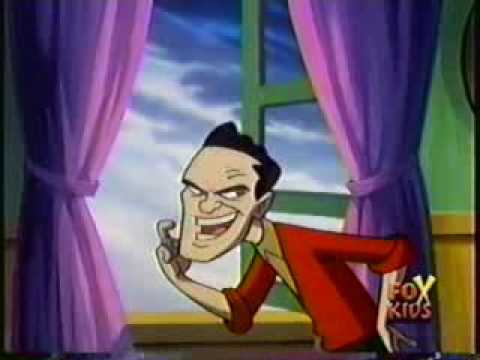 It aired as part of Fox Kids’ “The No Yell Motel” programming block, which featured interstitials starring puppets working inside a creepy motel. The show was accompanied by Goosebumps and Eerie, Indiana: The Other Dimension. The series’ theme was composed by Julie Bernstein, Steven Bernstein and Paul Rugg, while Michael Tavera, John Paul Given, Christopher Klatman and Thom Sharp did the rest of the music. Writers for the series included Kopp, Tracy Peters, Martin Olson, Keith Baxter, Karl Teorge, Vinny Montello and Steve Ochs. After the first season, Kopp left the show, along with producer and series director Jeff DeGrandis, after becoming frustrated with DreamWorks’ “too many cooks” approach to production. Rugg was promoted to showrunner and the format was drastically changed for the second season. The Frankenstein segments were reworked to be more of a sitcom where they would interact with new characters; particularly next door neighbor Seth Tuber (Jonathan Harris), who was based on Psycho’s Norman Bates complete with an “immobile” mother (Rugg). Melissa’s segment was changed to “The Melissa Screetch Show”, which featured Melissa imagining herself the host of a show that would end up with those that disappointed her meeting an ironic fate. The B-movie parodies and several segments with the Deadmans also continued with Jess Harnell assuming the Dedgar role, but the “Science Minute” segments were jettisoned. New characters were mostly played by Rugg, who improvised many of their lines. Fox Kids underwent a bit of restructuring in mid-1998 to accommodate the showing of more Saban Entertainment programs on the coveted Saturday morning broadcasts (Saban had merged with and taken over Fox Kids in 1998). Toonsylvania, along with Goosebumps, was moved to Monday afternoons where the last two episodes of the first season and all the second season aired. Unfortunately, that time tended to yield low viewership and the ratings took a rapid decline, justifying its ultimate cancellation. Action figures and playsets were developed by Pangea Corporation and released through Toy Island. Burger King also included toys based on the show in their kids’ meals. RFX Interactive, Light & Shadow Production and Ubisoft released a video game for the show in 2000 for the Game Boy Color. DreamWorks Video released a single VHS of the show in 1999 containing a selection of season one segments (although they used the season two intro). The entire show only saw release for a limited time on Netflix’s Latin American feed in 2014 and 2015. “Darla Doily – Demon Doll / The Importance of Being Urnie / Igor’s Science Minute: Clone or Be Cloned / Melissa Screetch’s Morbid Morals: The Boogeyman’ll Get You Melissa” (2/7/98) – Igor buys Phil a doll intent on killing its owners. / Fred and Ashley have to find their uncle Urnie after he’s mistaken for a bag of money during a robbery. / Igor teaches about cloning. / Melissa stays out too late and must get home before she has to face the Boogeyman. “Blinde Date of Frankenstein / Football and Other Body Parts / Igor’s Science Minute: Helium and Hot Air Balloons / Melissa Screetch’s Morbid Morals: Stop Making Ugly Faces” (2/14/98) – Igor builds a girlfriend for Vic. / Fred and Ashley must prove themselves during a football game. / Igor uses Phil as an example of how helium works. / Melissa’s habit lands her a permanent starring role as a B-movie monster. “Love Potion Number Nein / Attack of the Iguana People / Igor’s Science Minute: The Big Bang / Melissa Screetch’s Morbid Morals: Teeth for Two” (2/21/98) – Igor uses Vic’s love potion as a perfume for Natalie Nightshade. / A monster movie about reptile creatures. / Igor puts Phil in a popcorn machine to explain the big bang. / Melissa refuses to give her brother half her tooth money, enraging the Tooth Fairy. “Baby Human / Earth vs. Everything / Igor’s Science Minute: Blunder and Lightning / Melissa Screetch’s Morbid Morals: Little Screechin Riding Hood” (2/28/98) – Igor creates a baby with a large appetite. / A monster known as Everything plots to conquer Earth. / Igor gets constantly struck by lightning as he teaches about it. / Melissa, as Red, tortures the Big Bad Wolf. “Built for Speed / Captain Beaumarchais’ Fish Flakes / A Kiss Before Dying / Igor’s Science Minute: Gravity / Melissa Screetch’s Morbid Morals: Go Stand in the Corner, Young Lady” (3/7/98) – Vic’s rival rigs his car to explode if he goes under 60 MPH. / A commercial for the delicious fish-flavored breakfast cereal. / Ashley runs a kissing booth at the school carnival. / Igor pushes Phil off the Eiffel Tower to explain gravity. / After being forced to stand in the corner, Melissa gets her teacher fired. “Spawn of Santa / Dead Hard / I Igor’s Science Minute: Periodic Table of Elements / Melissa Screetch’s Morbid Morals: Don’t Swallow the Seeds, Silly” (3/14/98) – Vic puts a bank robber’s brain in Santa’s body. / Fred must escape overnight detention to save his date from the school bully. / Igor sings about the periodic table. / Melissa swallows watermelon seeds that grow inside her. “Doom with a View / Dead Dog Day Afternoon / Igor’s Science Minute: Evolution and the Attorney / Melissa Screetch’s Morbid Morals: Here There Be Monsters” (3/28/98) – Igor and Phil turn the castle into a bed and breakfast. / Fred takes his dead dog to a dog show. / Igor sings about evolution. / Melissa tells the story of Christopher Columbus—with her own style, of course. Love Hurts / One for the Mall and Mall for One / Igor’s Science Minute: The Brain / Melissa Screetch’s Morbid Morals: Plain as the Nose on Your Face” (4/4/98) – Vic and Phil appear on a dating game show and Vic keeps getting hurt in the physical challenges. / The Deadmans go for a family photo. / Igor uses Phil’s brain as a model for his lesson. / Melissa’s nose grows as she constantly lies. “Phil Feel Smart / Voodoo Vacation / Igor’s Science Minute: The Universe / Melissa Screetch’s Morbid Morals: Melissa, Don’t Spoil Your Appetite” (4/25/98) – Drinking chemicals to stop the burning from five-alarm chili causes Phil to become a super genius. / The Deadmans go on vacation in Hawaii and are mistaken for ancient gods. / Igor sings about the universe. / Melissa suffers ill effects from eating nothing but candy. “WereGranny / The Lobster of Party Beach / Igor’s Science Minute: Luck is Not a Factor / Melissa Screetch’s Morbid Morals: the Screetchy Little Mermaid” (5/2/98) – Igor believes Phil accidentally spiking Vic’s grandmother’s tea with wolfsbane made her a werewolf. / A lobster ruins a beach party. / Igor teaches about luck. / Melissa is a mermaid out for revenge against the prince that spurned her. “A Family Plot / A Zombie is Born / Igor’s Science Minute: Earthquake Boogie / Melissa Screetch’s Morbid Morals: Meliss and the Three Bears” (5/16/98) – Igor resurrects Vic’s ex-wife and family. / Fred and Ashley sign up for the talent show. / Igor sings about earthquakes. / Melissa bugs the three bears. “Phil’s Brain / Jurassic Putt / Igor’s Science Minute: Bites and Stings / You Keep Bouncing Like That, You’re Gonna Hurt Yourself” (9/14/98) – Phil’s brain is lonely. / Fred goes on a mini-golf date. / Igor sings about the effects of bites and stings. / Melissa’s couch bouncing sends her to space. “The Inferior Decorator / Bang! / Parasites / Melissa Screetch, Earth Ambassador” (9/21/98) – Igor replaces Phil’s brain with that of an interior decorator to perform the task of redoing Vic’s bedroom. / The Deadmans meet their new human neighbors. / Igor sings about the virtues of having a parasite for a pet. / A field trip to NASA leads to Melissa causing an alien invasion. “Something Weenie This Way Comes / Ideadical Cousins / Melisserella” (10/26/98) – Broke, Vic and Igor take jobs in fast food while Phil is mistaken for an arcade machine. / Ashley’s cousin wants to get rid of her and take her place. / Melissa plays the role of a lazy, nasty Cinderella. “Igor’s Replacement / The Deadman Bunch” (11/9/98) – Vic refuses Igor’s demands, causing Igor to go serve another mad scientist. / The Deadmans star in a Brady Bunch parody. “My Fair Monster / The Nosey Face / Shelf of Brains” (11/16/98) – Igor trains Phil to win the Westminster Monster Show that Vic forbade him to enter. / The Angry villagers recite a poem about a stranger with a strange nose. / Phil sings about all the brains in the lab and his head. “The Doomed Odyssey / Attack of the Fifty Footed Woman / Becki with an I” (11/23/98) – A movie crew invades the castle. / A sleepy western town is attacked by a giant woman with 50 feet. / Becki relates why she hates being on the show. “The Longest Day / Take Us to Your Liter / Escape from Wet Nurse Island” (12/7/98) – Vic, Igor and Phil suffer the DMV when Vic’s license plate is misprinted. / Aliens want America to switch to the metric system. / Melissa creates a TV show where her babysitter ends up in an island prison. “For Your Info-Mation / In or Out / Melissa Makes a Wish / Madame Olga’s Lament” (12/21/98) – Vic hosts an infomercial for his youth potion. / Fred and Ashley are suspended for being dead. / Melissa wants a Black Ops-style helicopter. / Madame Olga sings about her secrets and dreams. “Some Weird in Time / Vittles with Vic / Parents Opposed to Television Inappropriateness / Toonsylvania Presents: Phil and Igor in ‘Don’t Axe, Don’t Tell’ / News from Around the World / A Man of No Importance / Swamp Thingy” (1/4/99) – Igor, Vic and Phil go time traveling. / Vic hosts a cooking show. / A network censor speaks out against the show’s violent content. / Phil’s segment gets toned down by the censor. / A newsreel relates how the Deadmans changed history. / An extra points out his scenes in the show. / A swamp monster wants a vacation. “Cyranot / Igor III / Running of the Bullies / Troop 666” (1/18/99) – Vic steals Phil’s new love. / Igor stars in his own version of Richard III. / Fred and Ashley fight back against their bullies. / Melissa’s scout troop gets lost in the woods.